I’ve just started playing The Sims 2 again. And I like it. Five had been telling me to try going back to TS2, because I am becoming more and more frustrated with The Sims 3. Even with all the expansions, stuff packs and tons of stuff I bought from The Sims 3 store, the game just remains a buggy, nearly unplayable game. It seems they rely on people to buy expansion packs to flesh out a game that was barely more than a demo when it first came out.The last expansion, Late Night, did promise to bring lots of new interactions, objects and gameplay. But it turns out it just made an already buggy game even more buggy. I had accepted that the continuous neighbourhood story progression did not really work. I had accepted that there is a lot of repetition in the game. But Late Night also brought the celebrity status to The Sims 3, and if you play the same neighbourhood long enough: everyone will be a celebrity. And you cannot turn that off. The other bug is that everyone will get multiple cars in the personal inventory, if you do not play them. This is upsetting my neighbourhood’s story, because the sims get income from selling the cars they don’t need. None of my sims need to work now. All I need to do is not play them for a couple of days and they will have tons of cars to sell. So, back to The Sims 2, and it just works. Even if I have fewer objects, the game simply lets me play the way I want to. I am starting to have fun again and see some options to start playing out a new sims story. 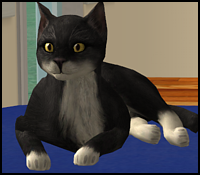 Since we are almost at the end of Randomby’s neighbourhood, I look forward to starting a new story, using TS2. If we do that, you can be sure we will be posting it right here.